The nonprofit Charging Interface Initiative — a 72-member group based in Germany that includes government agencies, power companies, original equipment manufacturers, service providers and others — is developing what it is calling a global Combined Charging System standard with voltage sufficient to recharge a Class 8 truck in 20 to 30 minutes. The group is reviewing data for the types of connections, power cables and other equipment that would be required for the system, which is being developed with an eye toward more electric vehicles taking to the road. The group is slated to vote on proposals on May 16 and will release its recommendations thereafter. The announcement was made March 21 during a session at the annual meeting of the Technology & Maintenance Council of American Trucking Associations, which was held here March 18-21. TMC has been participating in the development of the guidelines for the system’s needs, said Jack Legler, TMC technical director, in an e-mail to Transport Topics. Participants in the panel discussion noted that there currently are four connectors in use for recharging electric vehicles in North America. Each produces a different amount of power to charge vehicles, which impacts the amount of time it takes to fully recharge a battery. Generally, commercial vehicle high-power charging stations must operate at 1500 volts DC and 3000 amps. Development of global standards could prove useful if predictions of EV growth prove true; a new study by P&S Intelligence predicts that the global market for electric trucks will increase to more than 1.5 million vehicles by 2025. “Keep in mind you are more than likely going to expand your electric fleet over time as you learn and become more comfortable with the technology,” said Doug Memering, Cummins Inc. chief engineer of new parts. 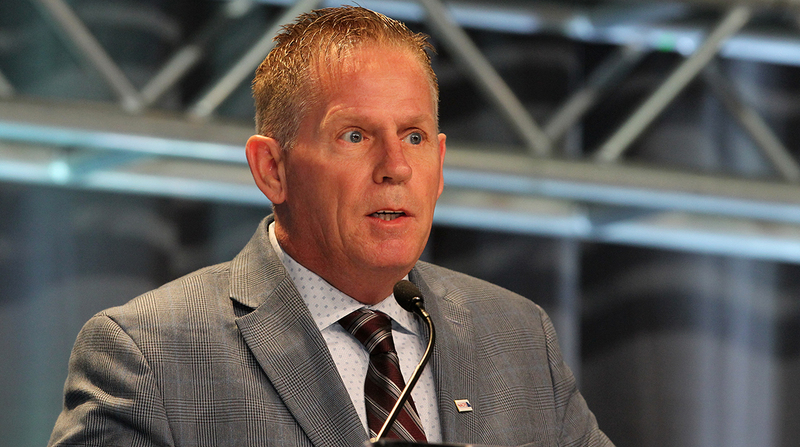 Improvements in the prospects for return on investment may propel some of that growth, said Bill Bliem, senior vice president of fleet services at NFI Industries. “There are lots of incentives out there that are making it possible, and battery costs are starting to come down as the technology develops,” he said during the panel. Truck manufacturers also are working to get the vehicles in customers’ hands. Volvo Trucks in December announced that it will begin deploying all-electric trucks in California this year through a partnership with California’s South Coast Air Quality Management District, which has received a preliminary award of $44.8 million for the project from the California Air Resources Board. Volvo plans to commercialize the trucks in North America in 2020. Daimler Trucks North America in December delivered to Penske Truck Leasing the first in a series of electric trucks Penske plans to deploy in California and the Pacific Northwest. The truck was one of nine medium-duty Freightliner eM2 models Penske will add to its leasing and rental operations this year, according to a press release from DTNA. Penske also will add 10 Freightliner eCascadia Class 8 trucks to its operation. Against this backdrop, a Penske executive on the panel urged the audience to begin preparing now for the changes that may lie ahead with electric trucks.